Suitable for the Ducati 848 Streetfighter ('12 onwards). 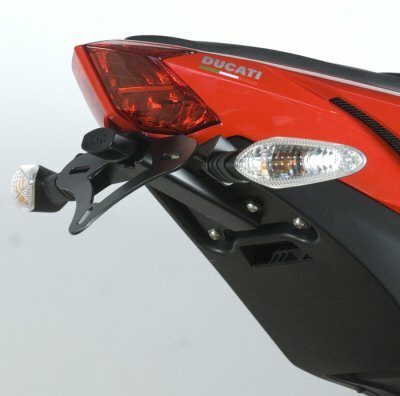 Can be fitted with OEM indicators, (as pictured) or our own aftermarket micro/mini indicators (RG370) - please see related products for more details. even more awesome, and wow, is that rear number plate light bright! No worries about not being seen in the dark, yet the light is tiny! Again, a million thanks, I am totally stoked.regards, Joe with the yellow streetfighter." ..